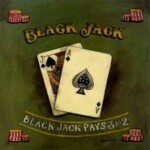 Blackjack or “21” is the most widely played casino game in the world. The player is dealt an initial two card hand with the option of drawing cards to bring the total value to 21 or less without exceeding it, so that the dealer will lose by having a lesser hand than the player or by exceeding 21 and “busting”. The game consists of two cards being dealt face down to each player and five community cards placed face-up by the dealer. These occur in a series of three (“the flop”) then two additional single cards (“the turn” and “the river), with players having the option to check, bet, raise or fold after each deal. Betting may occur prior to the flop, “on the flop”, “on the turn”, and “on the river”. In this wheel game, players may choose to place bets on either a single number or a range of numbers, the colors red or black, or whether the number is odd or even. Payouts are based on the probability of the number being hit with a specific number paying out the highest at 35:1 and more general bets (i.e. red or black, odd or even) paying 1:1. Craps is a dice game in which the players make wagers on the outcome of the roll, or a series of rolls, of a pair of dice. 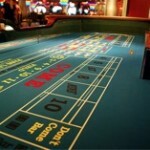 Craps is a game where any number of best can be made and is the most action packed casino dice game. Bets can be made on the pass line, on specific numbers, on the “field” or on “hard way” rolls. Some bets stay on the table until a shooter craps out, while others are one-time bets pulled after each roll. 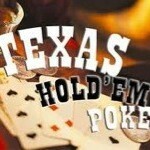 Like real Texas Hold ’em the player may bet his hole card, after the flop, and after the turn, but not after the river. As in traditional poker all bets pay one to one, except the ante requires a straight or better to pay. In this version, players wager against the dealer, not each other. 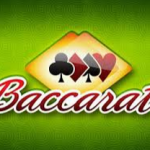 In American Baccarat, the player makes a wager on the outcome of the next hand predicting that the banker hand will win, the player hand will win, or that the two hands will tie. The “player” hand isn’t controlled by the player; rather, the dealer controls both hands, and the designations are simply used for betting purposes, and in the rules of how each hand is played. 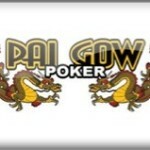 Pai Gow is played with a standard 52-card deck, plus a single joker. Each player attempts to defeat the dealer. The object of Pai Gow poker is for a player to create two poker hands out of the seven-card hand he/she is dealt by the dealer: a five-card hand, and a two-card poker hand. According to the rules, the five-card hand’s value must exceed the two-card hand’s, and that is why the two-card hand is often called the hand “in front” or “on top” or “hair”, or the “small” or “minor” or “low” hand. Caribbean Stud is played with a standard 52-card deck. Players must make an ante bet in an amount between the set table minimum and maximum. Players are dealt 5 cards and may look at their own cards only. The dealer is dealt 5 cards – 1 card face up, visible to all players, and 4 cards face down. Players may then choose to fold (and lose their ante bet) or raise (with an addition wager of exactly two times the ante amount). The dealer must qualify with Ace/King kickers or better. Let It Ride is a variation of five-card stud, based on three player cards and two community cards. The two community cards are initially dealt face down. The most distinguishing feature of Let It Ride is that the player is given two opportunities to withdraw exactly one-third of their initial wager. The player may reduce their wager on either of these occasions, or on both, or neither. If the player decides not to withdraw part of their wager, they are said to “let it ride”. Three card poker is a challenging, fast-paced game that is quickly becoming one of the hottest and most popular poker variations. 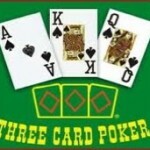 Three Card Poker involves two independent bets: Pair Plus and Ante and Play. A player may make a wager on either one or both of these bets before the deal commences. 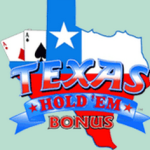 The Pair Plus bet is not played against the dealer and is based solely on the player’s hand. If the player proceeds with the Ante bet, he must Play and make an additional bet equal to that of his Ante. This hand is played against the dealer who must qualify with a Queen high or better. Chuck-A-Luck is simple dice, in which the player has various wagering options based on the outcome of the roll of three dice. 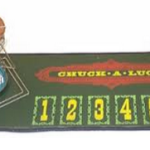 The chuck-a-luck table consists of a shaker, inside of which are three dice, and a table with various betting options for placing wagers. Casino war is a casino card game based on the game of War. The game is one of the most easily understood casino card games, and is one of the only card games where players can beat the dealer more than 50% of the time. The game is normally played with six standard 52 card decks with aces being high. One card each is dealt to a dealer and to a player. If the player’s card is higher, he or she wins. If the dealer’s card is higher, the player loses their bet. A tie occurs when the dealer and the player each have cards of the same rank and the player can surrender or go to war. 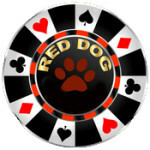 Red Dog is the casino version of “Acey Deucey” or “In Between” where only three cards are dealt per hand. All players make an initial bet prior to any cards being dealt. The first two are then dealt face up and a spread is marked. The spread indicates the number of cards that fall between the first two dealt cards. If a 5 and queen are dealt, the spread is a 6. Payouts are based on the size of the spread. This simple wheel game is a great addition for novices. Participants place a bet on any of the available squares and watch the wheel as it spins. Payouts are made based on where the wheel lands. No poker or blackjack knowledge is required to have a good time at this easy, but fun-filled table. Also known as “one-armed bandits”, a slot machine is a casino game with three or more reels that spin when a button is pushed. 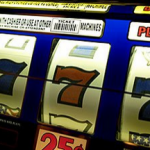 Slot machines require no special skill or strategy, and payoffs are based on patterns of symbols visible on the front of the machine when it stops. 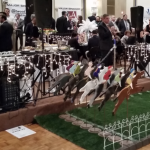 The cash cube is a fun way to add excitement to any event. This product is perfect for after-grad, after-prom or fundraising events. 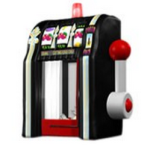 Inside the machine guests can reach and grab for flying bucks that can be converted into additional chips or special prizes. 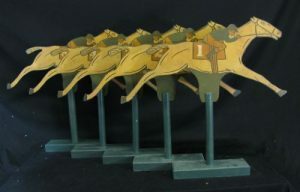 Derby Days Horse Racing features vintage style race horses and track, antique spinning wheel, A/V system, horse caller and jockey. Players make a bet on any horse posted to the race at our authentic betting window. The wheel is spun determining which horses move along the race track. Our caller announces the race and keeps the action going while guests cheer on their horse. Once the race is over winning bets are redeemed at our betting window.